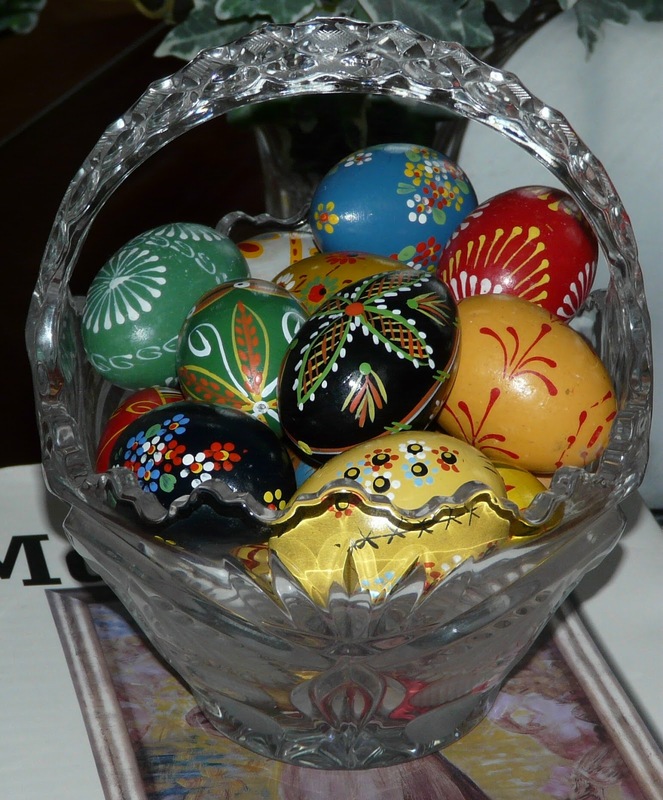 Easter comes very early this year and for Poles who are predominantly Catholic, Easter is just as important a religious holiday as Christmas. 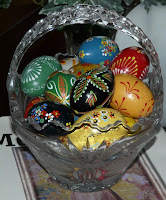 Easter celebrations in Poland are as traditional and elaborate as Christmas celebrations. 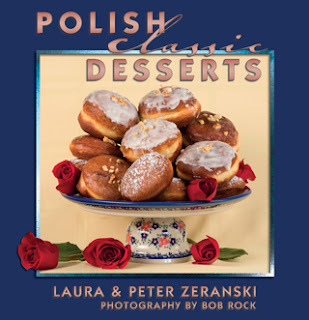 When Peter’s Mother was growing up in pre-war Poland, dining during Lent meant several meatless meals every week. Since they were only occasional fish eaters, entrees were often prepared from: flour, rice, eggs, vegetables, cheese, or fruits. The last week of Lent was spent on serious Spring cleaning, and planning for one of the biggest meals of the year – Easter luncheon. 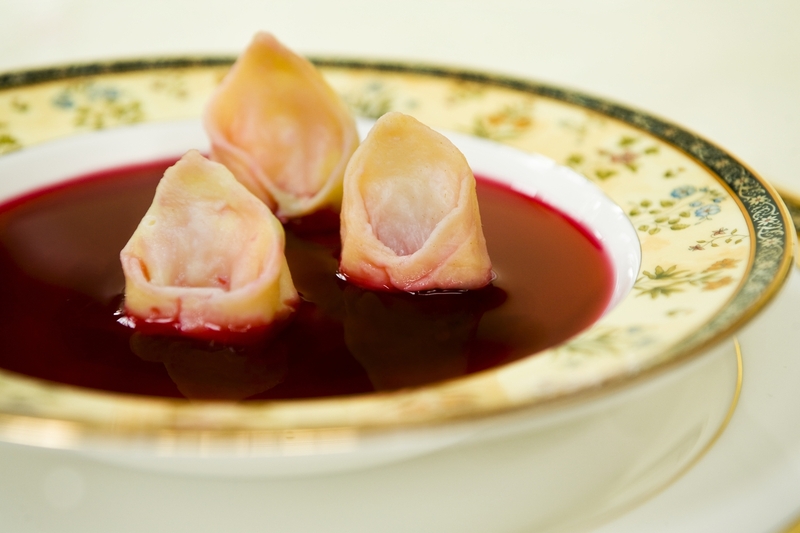 Since most of the dishes were prepared ahead of time, the meal was served cold, except for the clear Barszcz (beet both) which was reheated on the spot. The table was filled with hams, kielbasa, cold pork roast, vegetables, salads, deviled eggs, and so much more until there was no room for another plate. 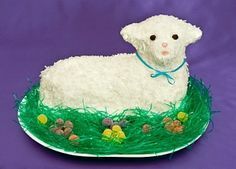 sacred lamb (image borrowed from Pininterest) made of butter or sugar, and a plate of beautifully decorated hard boiled eggs. At one end of the table, or on a separate buffet, were platters of traditional sweets, including tall aromatic Baba's, several types of cheese cake, and of course several varieties of Mazurkas. The Mazurek (singlular) is a flat shortbread cake said to have been originated in the Mazovia region of Poland. They are always decorated extensively and very traditional for Easter. Mazurkas are also traditional Polish folk dances as well as a style of music composed by Frederick Chopin and other Polish composers. Here is a favorite that has been popular for ages: the Royal Mazurka. Preheat oven to 375°F. Line two 9x13 baking pans with wax or parchment paper and butter the paper (note: butter is best since sprays or oils will change the taste). Beat the eggs with the confectioners’ sugar using standing or handheld mixer at high speed for 5-7 minutes until pale yellow and very light. Mix the water, lemon juice, zest, and almond extract in a small bowl or cup. Add to the egg and sugar mixture in a thin stream while continuing to beat for 3-5 minutes. Combine the almonds with the flour. Fold flour mixture, alternating with the melted butter, into the egg mixture. Mix lightly to incorporate. Divide batter (approximately 6 cups) and fold into the prepared baking pans. Bake 20-25 minutes or until edges turn golden brown. Watch carefully to ensure edges do not burn. Cool for about 10 minutes, remove from pans and place on rack to cool completely. Mix the water and 2 tablespoons lemon juice with confectioners’ sugar until sugar dissolves and mixture is white, smooth and coats the back of the spoon. Add more sugar if icing is too thin or more lemon juice if icing is too thick. Spread one cooled cake with the apricot jam. Cover with the second cake. Spread the top with the icing. Allow icing to harden before cutting into small squares for serving. Cake can be decorated with almonds and apricots. Note: store in the fridge and serve well chilled to prevent the apricot jam from running. Wow thank you so much for the yumm recipe! i love trying new things on festivities for my family. My daughter lovers loving too and she's a fan of your recipes!